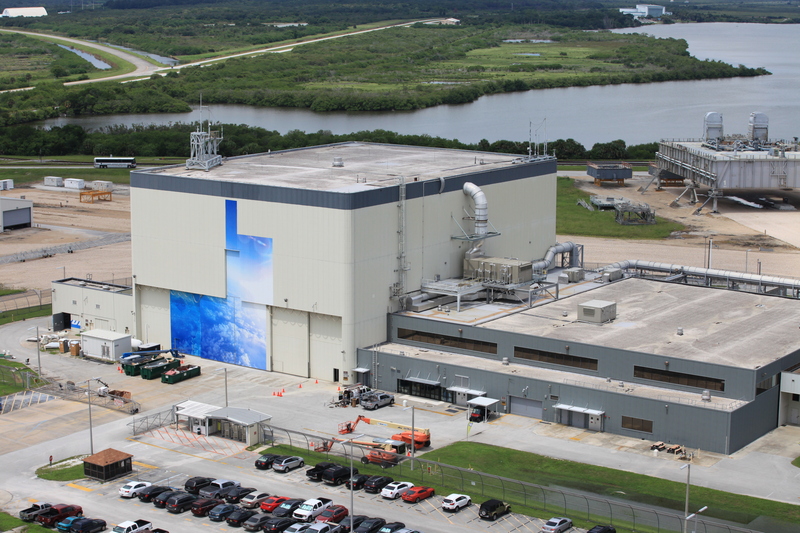 You can see Florida taking shape on the front of Boeing’s Commercial Crew and Cargo Processing Facility, better known as C3PF, at NASA’s Kennedy Space Center. The 78,000 foot facility will be the production and processing home of Boeing’s Crew Space Transportation (CST)-100 spacecraft. What do you expect Boeing will add to the wrap next? One of the former processing bays for the space shuttles at NASA’s Kennedy Space Center in Florida is getting a facelift this week as Boeing wraps the building that will be the production and processing home of its Crew Space Transportation (CST)-100 spacecraft. The interior of the Commercial Crew and Cargo Processing Facility, better known as the C3PF, is being outfitted for the precision demanded in assembling human-rated spacecraft and then processing the craft for flight. 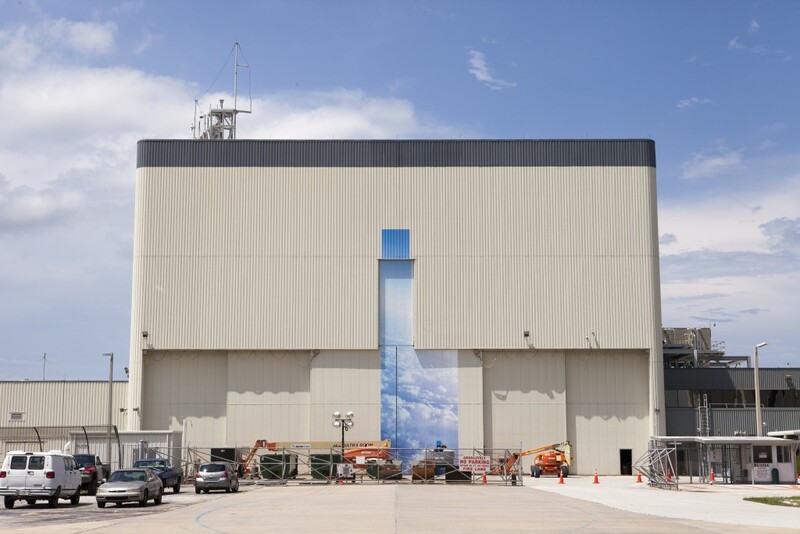 The wrap, which will cover the front of the processing bay, will showcase the future Boeing intends to pursue with the CST-100 line. It is expected to take more than a week to complete the detailed illustration. Boeing has been working to develop a crew transportation system that will transport NASA personnel, along with some equipment and supplies, to the International Space Station. NASA will certify that Boeing’s system meets the agency’s requirements. Once operational, the systems being developed under the Commercial Crew Program will save money, increase the amount of crew research time on the station and re-establish U.S. human access to space. Spreading Our Wings – Into Space! 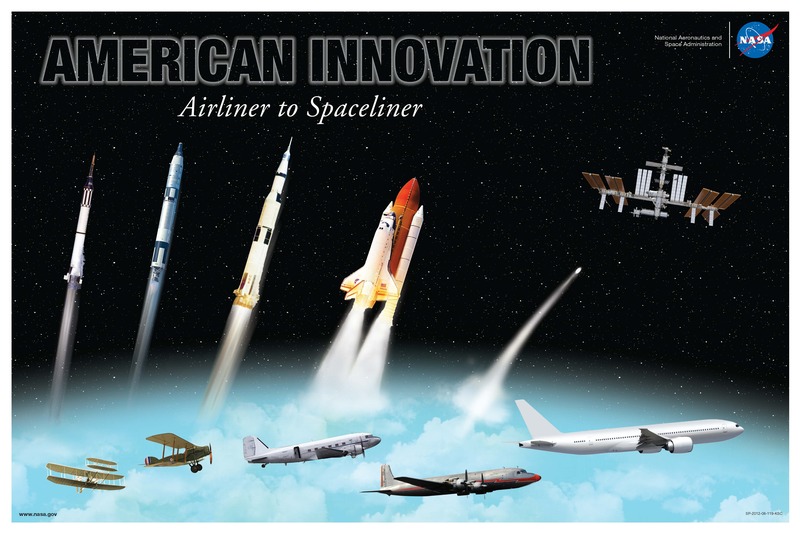 The United States has always been the leader in aerospace innovation and inventions. So with Commercial Crew Program efforts under way, NASA and industry are expanding their talents to formulate new ways to develop spacecraft and launch vehicles capable of safely and efficiently carrying people into orbit and to the International Space Station. We’re on the cusp of launching astronauts from Florida to conduct more research on the station with a larger crew that has more time for science, which will continue to help us here on Earth and as we prepare for the journey to Mars. That’s why today’s National Aviation Day is particularly relevant for the nation because it signals NASA’s intent to let more people spread their wings into space in the near future! Author Steven SiceloffPosted on August 19, 2015 August 20, 2015 Categories Commercial Spaceflight, General, International Space Station, NASA3 Comments on Spreading Our Wings – Into Space! Need help keeping your place in your textbooks? We have a set of bookmarks you can print out and use to hold your place this year. They’re sure to enthrall you about the promise of NASA’s future space travel! 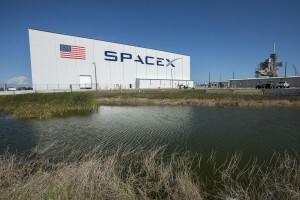 SpaceX recently powered up its Crew Dragon avionics test bed at its facility in Hawthorne, California, by simulating a crew flight to the International Space Station. During the avionics functionality check, engineers were able to make sure the spacecraft’s hardware and software worked well together in a flight-like environment. The avionics are known as the brains of a spacecraft, controlling all the critical automated operations of a flight. The SpaceX avionics test bed is similar to the Shuttle Avionics Integration Lab, or SAIL, in Houston, which was used throughout NASA’s Space Shuttle Program to test the interaction of hardware and software before modifying code on the vehicles for flight. 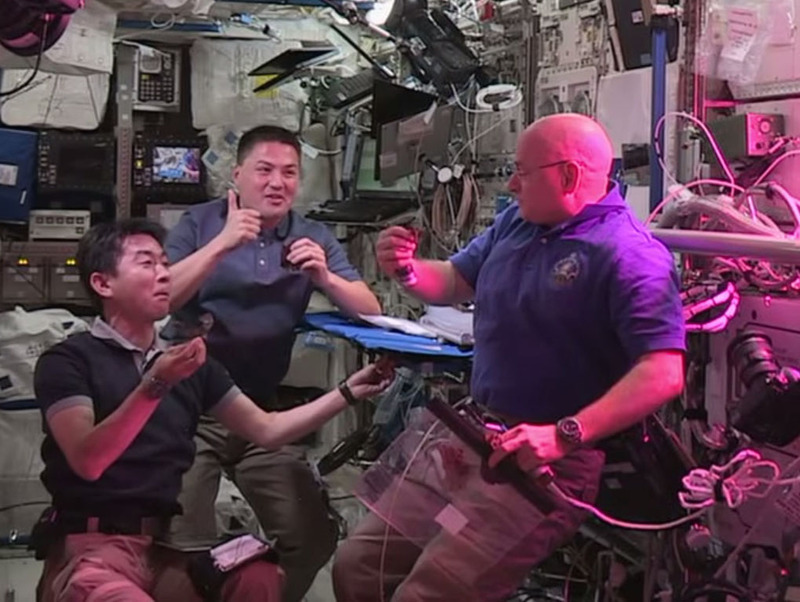 Astronauts for the first time nibbled a small crop of space-grown lettuce today in a look toward the future when crews head to deep space destinations like Mars with seeds ready to grow along the way. The red lettuce eaten Monday – accompanied by a dash of vinaigrette dressing – was grown in a specialized canister aboard the International Space Station during recent weeks and had sprouted from seeds that were glued into place on Earth. Astronauts placed the seeds and their pouches in a system that provided the water and light needed to make the plants grow. Half of the landmark crop was eaten while the other half will be returned to researchers at NASA’s Kennedy Space Center in Florida for closer study. Scientists are deep into the next phases of the plant-growth experiments with platters of cabbage, tomatoes, peppers and radishes anticipated on upcoming flights. The research reflects the value of studies aboard the station ahead of our Journey to Mars in which crews will count on vegetables grown in space for a small amount of nutrients and added touch of home during missions that could last two years. 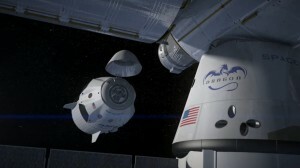 The experimentation could also be boosted by the addition of a crew member on the station – something that would be allowed with the advent of commercial crew spacecraft now in development with NASA, Boeing and SpaceX. 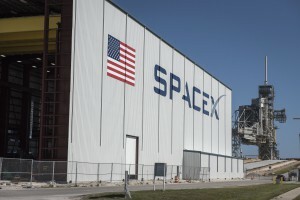 Launch Pad 39A at NASA’s Kennedy Space Center, Florida, continues to take shape as SpaceX has completed the road from its processing hangar to the top of the launch stand. 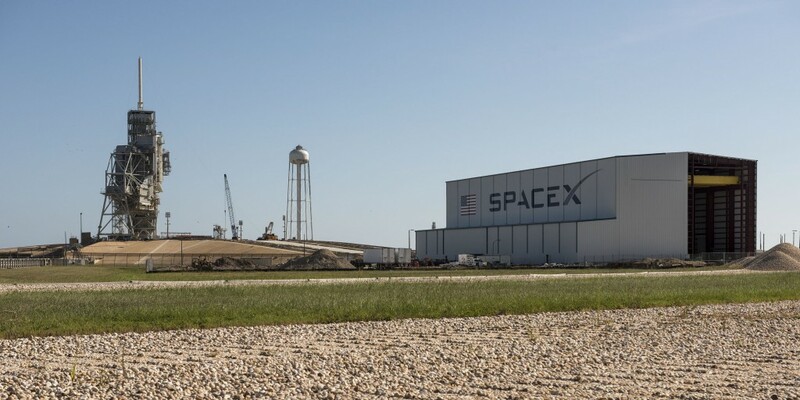 A transporter-erector will move the Falcon 9 and Falcon Heavy rockets to position them above the flame trench for liftoff on flights carrying astronauts to the International Space Station and other launches. The rockets and Crew Dragon spacecraft will be processed in the hangar being built at the base of the pad. The company also continues upgrading the launch structure and pad area to modernize the facilities that supported historic launches of the Apollo-Saturn V missions and space shuttles.